The middle model in the range of industrial dehumidifiers, this is the CR70 dual voltage model with inputs of either 110v or 240v. The CR70 can extract 70 litres per day and is built in a rugged powder coated steel frame to give a machine that is built to last. 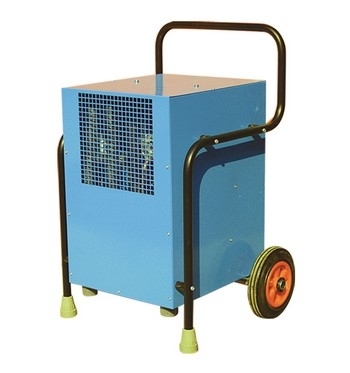 This CR70 dehumidifier also comes with sturdy castors to make positioning and moving of the unit easy. This dehumidifier also comes with a 2 year guarantee.